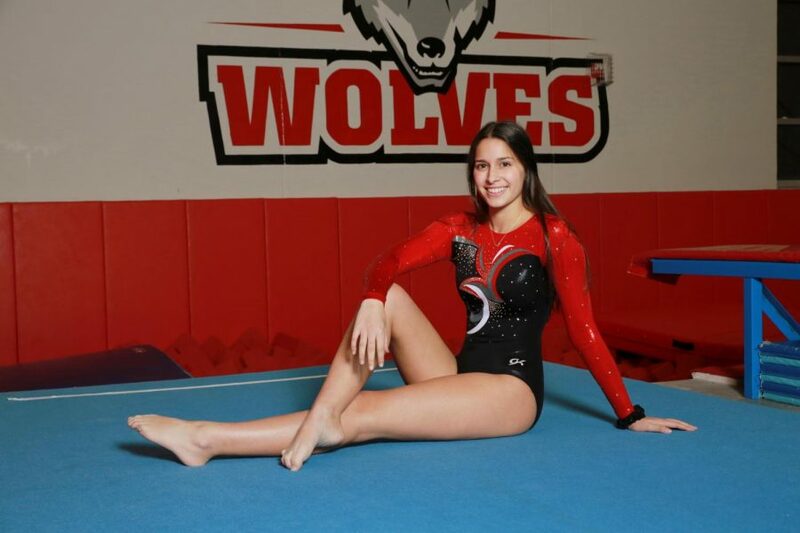 Sophomore Ahava Atar nervously waits along the gymnasium walls, paying close attention to her teammates performances, the way they gracefully leap across the mats and bounce through the floor with victory on their minds. She steps forward, taking a deep breath as her hands calmly fall to her sides, more than ready for her routine. She is next up, and as she makes eye contact with the judge, she feels determination rush through her veins. Atar starts her routine with simple hand motions and a wolf jump, but it isn’t long before she can be seen running for her first tumble pass. Her most important trick though; her round off back handspring layout. Atar has yet again managed to stun not only the judges, but the crowd above that can be heard cheering from miles. Atar’s interest in gymnastics first began at the age of eight years old as a way to control her constant energetic behaviors. From the very first cartwheel, Atar couldn’t get enough of it, and she knew that gymnastics would end up being her remedy through life. Luckily, it wasn’t long before Atar was getting professional coaching at the Morton Grove Park District, which meant no more shoes being flung into the water for her. What really enhanced Atar’s gymnastic abilities throughout her career is her willingness to try new things. Learning more about gymnastics is exactly what she’s doing. Even as an experienced high school athlete, Atar knows she has more to learn, and works hard to to do so. Atar’s tenacious attitude, excellent work ethic, and determination towards gymnastics has contributed greatly to her success in the sport, and it certainly hasn’t gone unseen by those around her. Koffman isn’t the only gymnast that has recognized Atar’s great attitude. “She works on her skills until she has it, she’s definitely not one to quit after not being able to do something once. She’s really driven too, always reaching out to us seeing how she can work to get to her goals.” Atar’s coach of two years Tiffany Tuttle said. Being able to get to the level where she is now wasn’t exactly a piece of cake for Atar, especially when it comes to competing competitively in high school. Atar must balance a social life, good grades, and gymnastics all at once, but thanks to a special secret she always keeps in mind, it’s usually not a problem for her. It’s a good thing Atar has her friends and family to lean on, because it hasn’t always been easy keeping up with gymnastics. Along with being known for her love for gymnastics, Atar is also known for how she spends her summers. For as long as she can remember, Atar has attended Jewish sleep away camp for the summer, which is something that she has always looked forward to throughout the year. However, because Atar isn’t home over the summer, she often misses out on many training opportunities that her teammates participate in, which sometimes tends to put her at a disadvantage. This has never affected Atar’s motivation to work on her gymnastic skills. Even when she’s away from home she continues to work on enhancing her gymnastics skills. Atar is hoping to master her full twist for next season.